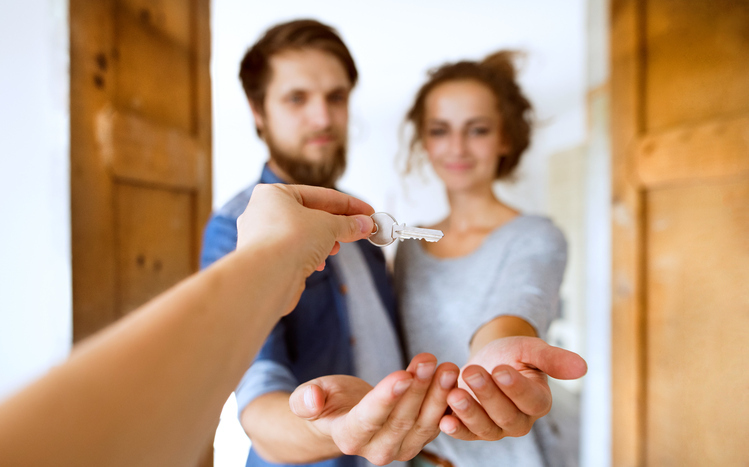 For the sixth consecutive year, Millennials are the dominant force in the homebuyer market, according to new data from the National Association of Realtors (NAR). Millennials, as a whole, accounted for 37 percent of all buyers. NAR divided this demographic into younger and older Millennials and found these groups accounted for 11 and 26 percent of buyers respectively. 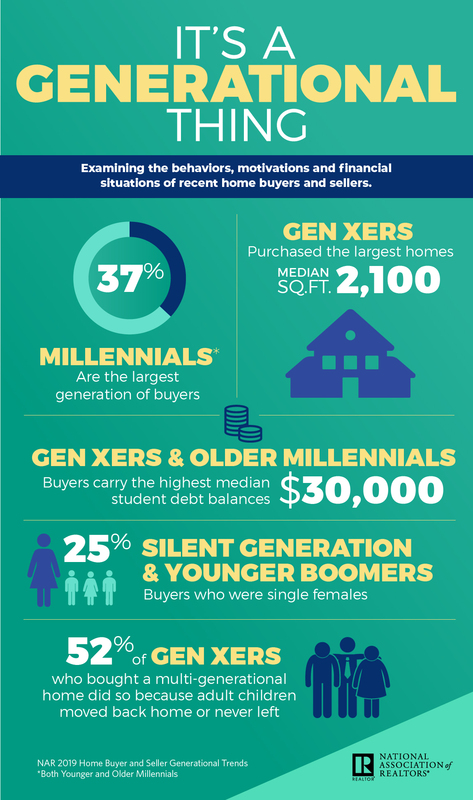 Gen X buyers were the second largest group of buyers (24 percent), followed by younger Boomers (18 percent), older Boomers (14 percent) and the Silent Generation born from the mid-1920s to mid-1940s (seven percent). NAR determined that older Millennials have a median household income of $101,200 and purchase homes with a median price of $274,000, comparable to Gen Xers ($111,100 income, $277,800 median home price) and younger Boomers ($102,300, $251,100 respectively). Younger Millennials reported a median household income of $71,200 and were purchasing the least expensive homes and smallest homes ($177,000 and 1,600-square feet). Furthermore, older Millennials and Gen Xers carried the greatest student loan debt, with a median amount of $30,000, with younger Millennials carrying a median amount of $21,000. But younger Millennials are the most likely to have student loan debt, with 47 percent indicating that they carry some amount of student loan debt, while only 42 percent of older Millennials and 27 percent of Gen Xers report student loan debt. Younger Millennials were also the most likely to say saving for a downpayment was the most difficult task in the home process, at 26 percent. NAR also found that to one in six Gen Xers purchased a multi-generational home, either because their adult children have either moved back or never left home. Nine percent of older Millennials also bought a multi-generational home, mostly to take care of aging parents (33 percent) or to spend more time with those parents (30 percent).